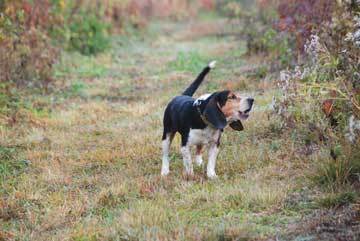 Experienced rabbit hunters say this sport is all about the excitement of watching those beagles run - and lately more and more folks in South Carolina are joining in on the fun! I don't remember the first time I went rabbit hunting, but I do remember vividly the day it became a passion. Getting off the school bus, I ran to the backyard to see what all the ruckus was about and discovered two frolicking beagle puppies - the perfect thirteenth-birthday gift from my Dad. Jack, the tri-colored pup, and Joe, the tan and white one, were my constant companions for the next few years. I trained them myself that winter. We set a couple of rabbit "gums" (wooden boxes with a trap door in one end) at the edge of the cotton field next to the woods behind our house. Every morning before school, with Jack and Joe following, I'd check the boxes. If one held a cottontail, I'd turn it loose and shout, "There he goes! Get him, boys!" exhorting the beagles to chase after it. In the afternoon, if Jack and Joe were not waiting on the back steps, I'd usually find them down in the woods, searching for another rabbit to chase. Although fried rabbit with biscuits and gravy is one of my favorite meals, for me, rabbit hunting has never been about killing rabbits. It has always been about the chase - about hearing a pack of little hounds in full cry bounding off after a cottontail. Many hunters agree. Avid rabbit hunter and beagle field-trialer Scott Wilson of Pendleton writes about the experience and its place in history on his website, www.facebook.com/huntingbeagles/. "It has little to do with shooting rabbits and a lot to do with the chase of the hounds," says Wilson. "Men following hounds is an old tradition that has been a source of entertainment and pageantry for centuries. History records the beagle as its own breed at least back to the time of the crusades. In those days most estates had a pack of beagles for following on foot. The quarry was the European hare." 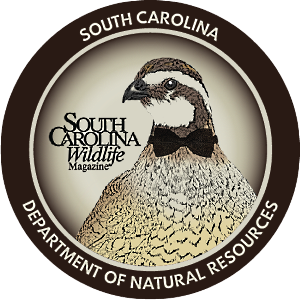 For S.C. Department of Natural Resources law enforcement officer and rabbit hunter Todd Campbell of Sharon, rabbit hunting is all about dogs, family and friends. "It's a sport you can do year-round," says Campbell, who is often accompanied by daughters Kayla, eleven, and Ashley, fifteen, on rabbit hunts and off-season dog-training sessions. "To watch them watching the dogs is almost as amazing to me as watching the dogs perform; the girls just fell in love with it," says Campbell. "Rabbit hunting is something you don't have to get up before daylight to do. You don't have to be quiet. You don't have to do it for very long and you don't have to kill anything to enjoy it." Wilson has a two-year-old son, Mason, who "wants to go with me every step" when he's working his beagles and competing with them in field trials. His two daughters, Ashlyn, ten, and Anna, three, like it as well. "They are not quite at the age where they can carry a shotgun and do any shooting, but as far as dog hunting and running the dogs, they are really into it," says Wilson. "They are all pretty good dog handlers." His search led him to the kennels of the late Rudy Evatt of Easley, a long time member of the Iodine State Beagle Club, which was then located near Simpsonville. 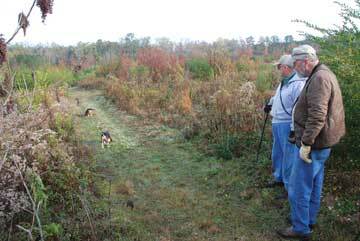 Evatt took Wilson to the club and the two men worked some beagles on the trail of a cottontail. "The rest is history," says Wilson. "I was hooked the first time I heard that dog bark and saw his tail wiggle. 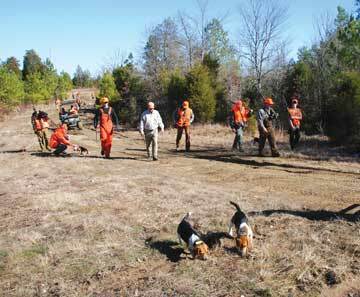 I have been rabbit hunting and competing in and judging field trials since my late teens. Little did I know then that this sport would become my passion." Although his dad took him rabbit hunting once or twice a year when he was growing up, by the time Campbell was a teenager, interest in small game hunting had waned, so he mostly hunted deer. "About 15 years ago I got into rabbit hunting from deer hunting," he says. "We were bowhunters, and we trained beagles to track wounded deer. I just fell in love with the beagle breed." When his deer-tracking beagle got old, Campbell contacted a friend who raised beagles about getting a younger dog to train. "He had probably 30 dogs, and I thought that was pretty neat," says Campbell. "Then we went rabbit hunting a few times. I got a couple of pups and trained them and there was no looking back." Campbell got into the game just as there was a resurgence of rabbit hunting in the Upstate, due, he believes, to timber cutting practices that left numerous cutovers that provide great rabbit habitat. 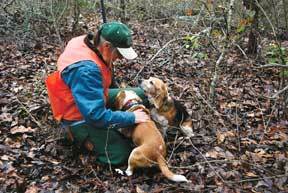 "The beagles and rabbit hunting have really taken off in this area," says Campbell. "I don't know if it is because of a resurgence of rabbits or if it's just people getting back into hunting, but you go any Saturday in rabbit season and the woods are full of people hunting, and that was not the way it was before." Wilson, who agrees that cutover pine plantations "make the perfect place to hunt rabbits,"also reports seeing an increase in beagles and rabbit hunting in his part of the Upstate. "Rabbit hunting has picked up," says Wilson. "I believe the AKC's involvement with gun dog beagles has brought a lot of people back into the sport." 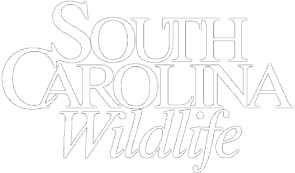 While the DNR's annual small game survey has not reflected an increase in the number of people hunting rabbits in South Carolina, Small Game Project Supervisor Billy Dukes says the rabbit hunting tradition remains strong in the state, and the annual survey has documented an increase in the success rate enjoyed by rabbit hunters over the last two seasons. The number of rabbits taken increased from 1.27 to 1.35 rabbits per hour during the 2007-08 season and that was followed by another slight increase to 1.37 jumped per hour during the 2008-09 season. 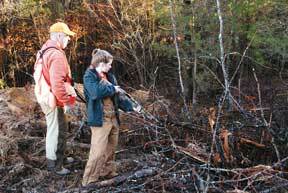 Rabbit and quail hunters participate in the annual Small Game Survey by recording hunting data and field observations. "Some people may be slipping away from big game and rediscovering the joy in hunting small game, such as rabbits," says Dukes. "We'd love to have more rabbit hunters participate in the survey." To participate, write to: DNR Small Game Project, P.O. Box 167, Columbia, S.C. 29202, or call (803) 734-3609. Whatever the reason, interest in the sport seems to be increasing, and hunters like Wilson and Campbell are making sure their children don't miss out on the opportunity to enjoy watching the beagles work. 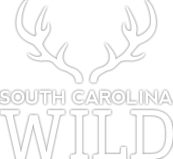 For the last several years Campbell and other wildlife officers have invited rabbit hunters to participate in a youth hunt at Rocky Creek Sporting Clays in Chester County. "We usually have a crowd, and a lot of the kids don't carry guns. That's not the reason we want them there, because killing rabbits is a very small part of rabbit hunting. The total experience is what is fun to them," says Campbell. 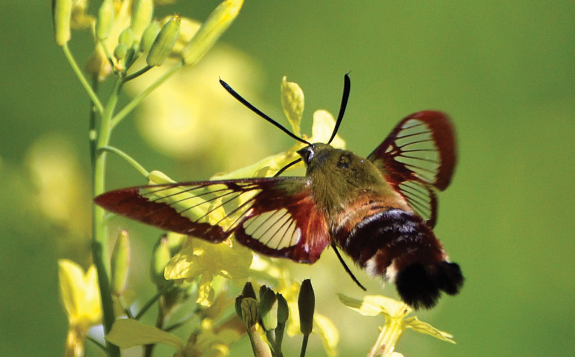 "We have found this is the best way to introduce kids to the outdoors, especially hunting. They have their friends there, and we have these pretty little tri-colored dogs running around. It's a kid's dream." There are ten beagle field trial clubs in South Carolina that hold trials licensed or sanctioned by the American Kennel Club, and four others sanctioned by the American Rabbit Hound Association. The four AKC clubs that run trials where beagles compete in braces or pairs include: Savannah River Valley Beagle Club at Edgefield; Iodine State Beagle Club at Ware Place; Black Jack Beagle Club between Camden and Bishopville; and Spartanburg Beagle Club near Pacolet. For information, contact Pat Robertson at (803) 309-3271 or via e-mail at patrob@upthecreek.net. 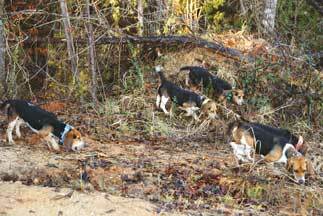 The six clubs that run AKC small pack option trials include Cove Creek Beagle Club near Pickens; Foothills Beagle Club near Belton; Tokeena Beagle Club near Townville; Poplar Branch Beagle Club near Aiken; Sand Hills Beagle Club near Cheraw; and Norway Beagle Club near Neeses. For information, contact Scott Wilson at (864) 642-4565, or via www.facebook.com/huntingbeagles/. 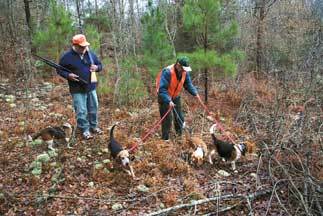 The four clubs that run ARHA large pack trials include Barrineau Beagle Club near Lake City; Greater Pee Dee Beagle Club near Scranton; Pee Dee Beagle Club near Timmonsville; and Small Cry Beagle Club near Hartsville. For information, contact Butch Lee at (843) 598-9362 or Phillip Broach at (843) 389-2069. Pat Robertson is a Columbia-based freelance writer.